There was a time when having your song played on the radio in a regular rotation was the most critical aspect of music promotion. Getting on the air in major markets was paramount to success. It was all about the quality of the music and vocals, there was substance, there was talent, you didn't have to be pretty or ruggedly handsome to have a hit record. Then it all went hell. Well, not at first. In 1981, Music Television went on the air in the U.S. and single handedly changed the way music was marketed and promoted virtually overnight. MTV was the brainchild of Warner Communications and American Express, who funded Warners' cable business but wanted a commercial outlet to reach the teen and young adult markets who traditionally have high disposable income. When Warner and Amex gave the go ahead for the channel, the timing couldn't have been worse. In the late 70s, record companies were hurting and looking to cut costs and one of the first things on the chopping block were music videos which were being produced for late night TV and specialty shows and were mainly filler on local channels. At the time, videos were never really considered a necessity and some of the more avant garde artists like David Bowie and Talking Heads were using them as an artistic extension of their music but most bands were simply churning out performance videos either as concert footage or hokey and staged performances that they lip synched badly too. The consensus amongst the record companies was that videos had a negligible impact on sales. At the time they were probably right. The race to get the channel on the air in 1981 was on before record execs completed their 1982 operating budgets. Before deciding on Music Television, MTV was almost dubbed TV-1 and TV-M for Television Music which really didn't roll of the tongue to well so it was switched around and the young channel found it's name. Now that they had a name, they went out and tried to get their hands on as many videos as they could. So how many videos did they have in their library on launch day? A whopping 250. Some record companies like MCA and Polygram flatly refused to be a part of the channel and didn't provide any videos at all. The channel struggled to convince the companies that videos would help promote the artists and boost their record sales. Because of the fact that many record companies were slow to get on board, the video cupboard was kind of bare and heavily stacked towards certain artists. For example, thirty of the 250 videos on hand were Rod Stewart videos. Regardless, MTV figured once they showed some minor signs of success, the record companies would come around. 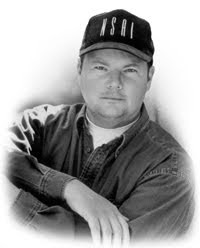 So on August 1, 1981 MTV launched with its first video, the prophetic (yes, I'm talking about you Christopher Cross) "Video Killed The Radio Star" by the Buggles. It didn't really catch on with the cable companies at first. Their now infamous, "I want my MTV!" campaign changed all that and had thousands of people literally screaming the phrase to local video companies convincing them to add the new channel to their roster and it quickly swept across the U.S. and was making money by 1984. The influence it had on pop-culture was undeniable. It was no longer good enough to have a good song as a musician, you had to have a look and a photogenic (videogenic? is that even a word?) face to make it. Network television took notice and tried to compete with shows like ABC Rocks and NBC's Friday Night Videos but MTV was 24/7 music videos and nobody was doing that. MTV had its share of controversy as well. For one thing, they refused to play " Billie Jean" or anything else by Michael Jackson saying that "R & B" wasn't what MTV was all about similar to why Country music wasn't being played on MTV either. Ironically, Canada launched its music channel, Much Music, with "Billie Jean" as the first video they played. Upon closer inspection of the playing rotation for February 1983, MTV only had two videos being played that featured black artists: Tina Turner and the dude from The English Beat. MTV was given the ultimatum of either play "Billie Jean" or no more videos from CBS and their associated record labels. Obviously they caved and "Billie Jean" not only became iconic, but it changed the way most videos would be made going forward. It raised the bar to what a video can be - a visual representation of the song, not just a lip-synced, pseudo concert performance. MTV did come around though. Four years later they launched "Yo! MTV Raps" and helped turn rap and hip-hop into the mainstream genre that it is today. Some of the other classic programming they provided over the years include their "Unplugged" acoustic series, Beavis and Butthead, Total Request Live (TRL), along with their various award shows. Along the way though they did lose sight of their roots and moved away from playing music videos to providing reality programming like Punk'd, The Real O.C., A Shot At Love, The Hills, The Ashley Simpson Show (Editor's note: sweet baby Jesus, make it stop), The Surreal Life, The Osbournes, Pimp My Ride and a host of others that are numbing our children's brains and providing zero cultural significance and making us all a wee bit shallower and dumb..........but I digress. It's interesting to wonder how many artists from the 80s and 90s would have even seen the light of day in North America if it wasn't for the musical vehicle that was MTV.